A single-layer summer sleeping bag for kids and young people. A child grows and grows, so it's practical when their sleeping bag grows with them and the Jack Wolfskin Grow Up Star can be lengthened from 150cm to 190cm. The outer material is both soft and hard-wearing. 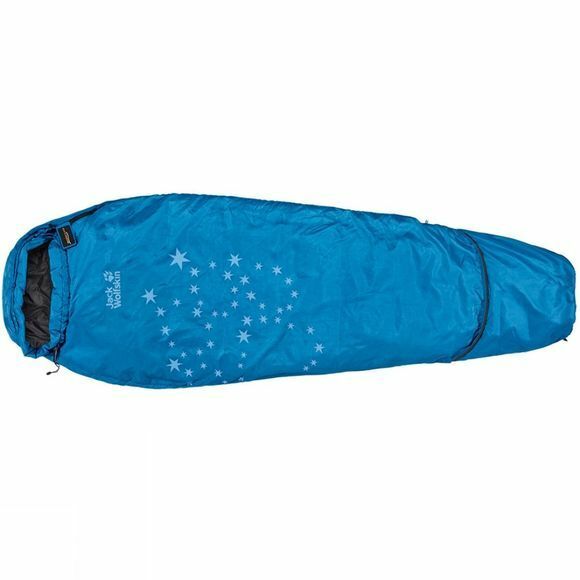 Due to the single layer of synthetic fibrefill insulation, the sleeping bag retains heat well at warmer temperatures, as well as having a small pack size and being lightweight. The footbox has extra insulation, as this is where one is most sensitive to the cold.